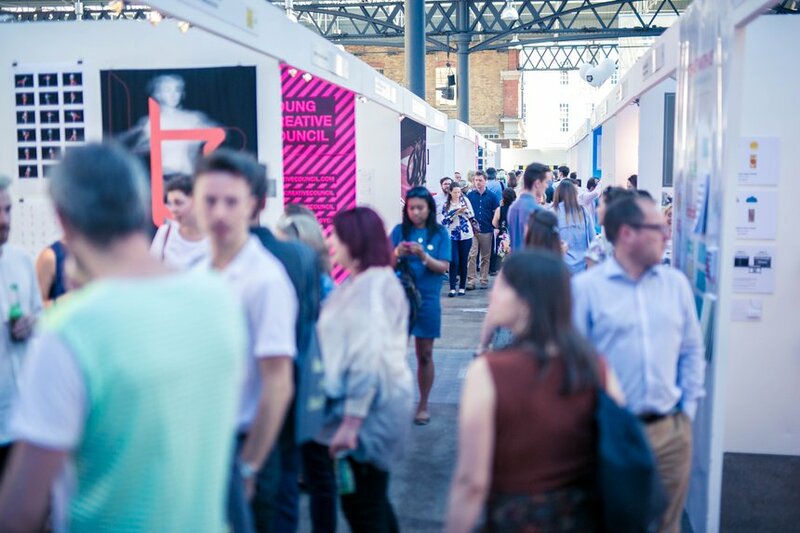 Thousands descend on Old Truman Brewery for the New Blood Festival. 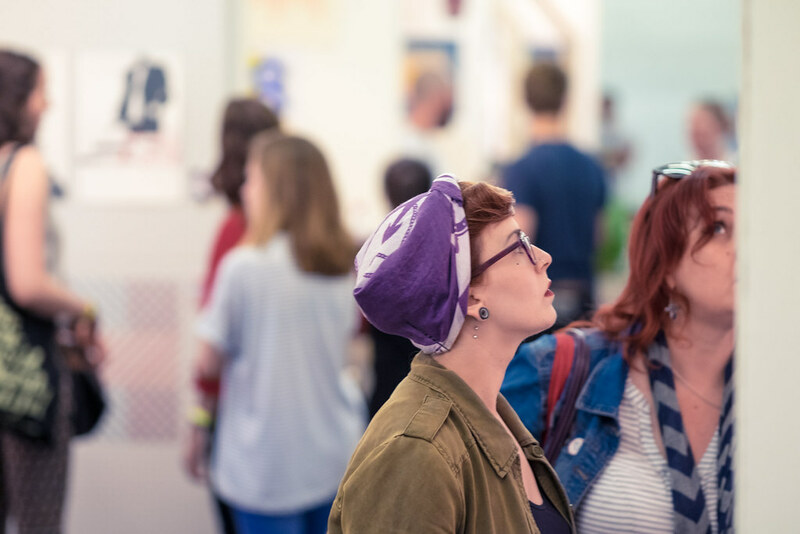 East London gets a creative takeover like no other, with free talks, workshops and events that bring industry and talent face to face. At the centre of the action is the Exhibition, displaying the year's top graduating students from design and advertising courses around the UK. In the run up, we’ll be hitting you with inside tips on how to stand out if you’re exhibiting, or just coming down to rub elbows. Read on to get the pro's two cents on nailing a winning stand, and making that first impression last. Let’s be honest, it can feel daunting at New Blood and the scale of it can be overwhelming. The venue alone, not to mention the magnitude of the opportunity it presents to grads, unis, institutions, and the industry too. But take it one step at a time. Make the best of the stand’s space, keep it simple. Like the portfolios on show, it’s about the work. Sure, a nice little theme might let you print those tennis balls or sticks of rock you’ve always wanted to, but the work should ultimately come to the fore. Keep it classic and let the work do the work. Business cards go a long way – even in this so-called digital age they thrive. And after one's fill of free beer, and the inevitable next-day glance through one's pockets, it can be a help to visually link what you have on show to that. But your site can do that too. Yes. Your site. Please have one. It’s kind of imperative these days. And as for everything else, all the small things that everyone overlooks, just talk and act with people as you would like in return. Don’t linger around like that weirdo on the bus no one wants to sit next to, or the loner at the bar. Just be yourself. And good luck. Just like an art exhibition, a stand should be curated. I've often wondered, what's the point of this course as opposed to the one next to it? What are they trying to achieve? And why? I think a stand should have a point of view and all the work should support it in some loose form. This helps the university stand out and be remembered. Make a bold statement. Write a manifesto. Brand yourself interesting. The work needs to engage an audience. It should do that naturally. But you can add a Twitter handle, and if someone likes it they might strike up a conversation with you. Open up the digital channels simply. Digital can be complex in the New Blood environment, but you can be digitally cultured without having to show digital work or ask too much of the viewer. New Blood should be the loudest, freshest and most disruptive of events. I don't want politeness or quiet. I want noise and energy. Excitement and bright futures. Do not be shy. Be loud. And preferably human. 1. Less is more. Keep your exhibit succinct and to the point. Know what you want your work to say and who you want to say it to. 2. Make your presentation so flawless and so simple it is unnoticeable. Show the work well and it will speak for itself. 3. Allow your exhibits to breathe. Again, less is more. 4. Be confident but not cocky. You have to demonstrate that you know your stuff, but that you also know you have lots more stuff to know and learn. 5. Have a business card. Don't think for one moment scribbling your mobile number on a napkin will do, it won't. 6. First impressions count, corny I know, but so true. Show your work as best as you can, but remember that great presentation of a poor idea won't save you. So there's a few things to ponder if you're exhibiting or coming down to rub shoulders with industry's finest. To get more tips and tricks, get to the free Fringe Events being hosted by top agencies around Shoreditch as part of the New Blood Festival.